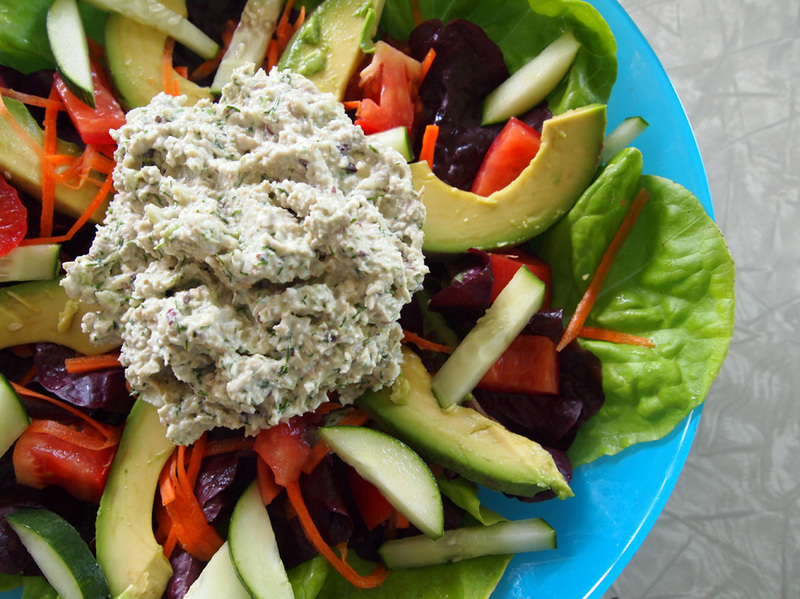 Meatless Monday - Sunflower Seed "Tuna"
This sunflower seed “tuna” salad is perfect for summer picnics and cookouts, as it travels well and there’s no need to worry about eggy mayonaise going bad in the sun. It’s delcious on it’s own, works well in salads and is wonderful in sandwiches. 1. In a large mixing bowl, combine all of the salad ingredients. Toss to mix thoroughly. 2. In a high speed blender, combine all of the mayo ingredients and blend thoroughly. Pour the dressing over the salad and toss to mix well.